‘Transparency’ is one word which defines Control Alt Delete and makes it what it is today! They’re back with their eighth edition and the enthusiasm surrounding it is overwhelming. CAD runs on a pay-what-you-want model wherein all profits at the gig are split equally among participating artists. Depending upon the contribution, fans get exclusive rewards – ranging from limited edition t-shirts and screen-printed signed posters to an invite to an exclusive after-party. Staying true to their concept, the organisers upload an excel sheet which provides a detailed break-up of all costs incurred and revenue generated. 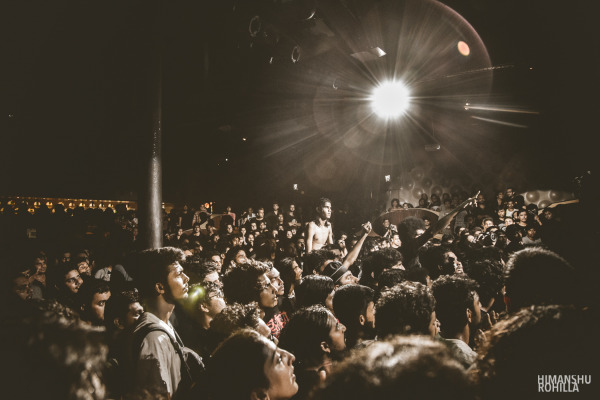 After a successful seventh edition in Pune, CAD returns to their hometown, Mumbai with a brutal line-up consisting of some of the best metal acts in the country. Having used Instamojo for the last two editions to collect payments online, we interviewed Himanshu Vaswani from Control Alt Delete to know more about the concept, here’s what he had to say. Instamojo: How did CAD come about? Himanshu: CAD was a product of sheer frustration. Ever since I visited my first gig as a kid, I knew that this was what I wanted to do for a living. Everything that followed was a step towards that goal. I finally landed a steady job organising gigs with indie bands. Soon after, I realised that it was everything but what I wanted it to be. Life was about deliverables and logo sizes. 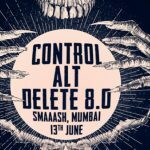 The frustration that came about from the monotony of it all, coupled with a strong discussion with like-minded (drunk) friends from the scene led to the formation of Control ALT Delete. Instamojo: What is CAD’s business model? Himanshu: CAD started on a pay-what-you-want model at the legendary venue that was B69. Bajaao supported us with the infrastructure and the backing that was required for this extremely risky model. The first version saw the beginning of something that we knew had serious potential as a concept. The second version saw a packed house with Zero playing a surprise set. Soon after, B69 shut shop and CAD was homeless. When I decided to resurrect the idea, Rishu Singh and Nikhil Udupa joined hands and CAD V2 was born. Much stronger this time around, there was a flash flood of ideas. Something clicked right that day. We have hosted some seriously fun gigs ever since. We have been blessed with massive turnouts and some serious support from the bands as well as the contributors. The pay-what-you-want model was taken to the next level when we decided to start crowdfunding these shows. It became this unique forum and a resource pool where everybody involved not only contributed money but their resources as well, both tangible and intangible. Instamojo: How has the indie music scene evolved since CAD entered the scene and in what way has CAD impacted/been impacted by this? Himanshu: CAD was conceptualised at a time when things were just starting to pick up for my kin. There were real jobs and sponsored gigs. Artists were not playing shows for Rs 5000 anymore. CAD, I believe, steadily evolved alongside this booming industry. People are now aware and have enough to choose from. There are several ways in which this growth has impacted CAD. We pretty much exist because of this evolution. About CAD’s impact on the scene, I think the biggest thing we have accomplished is that we have served as an eye opener to many. We have projected a new and alternate way of getting things done. We have managed to pass on a sense of entitlement to the bands and the audience and most importantly to the aspiring new promoters. We’ve seen many successful projects see the light of day like Makemymerch, DIY day and artists crowdfunding their albums among others. Instamojo: Why did you choose Instamojo.com as your payment solution? 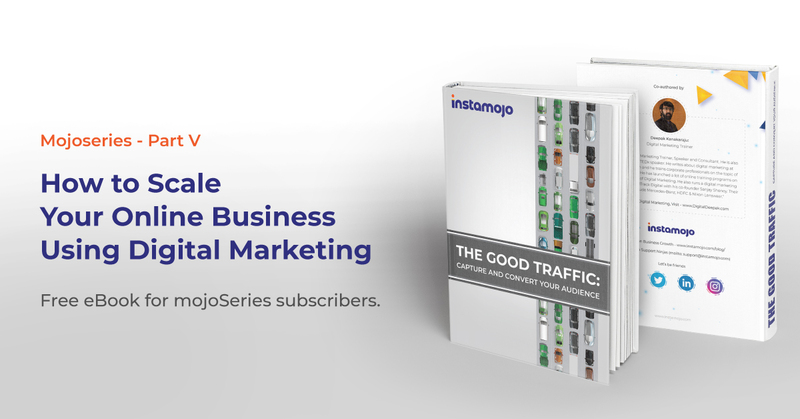 Himanshu: Instamojo has given us the best solution ever. 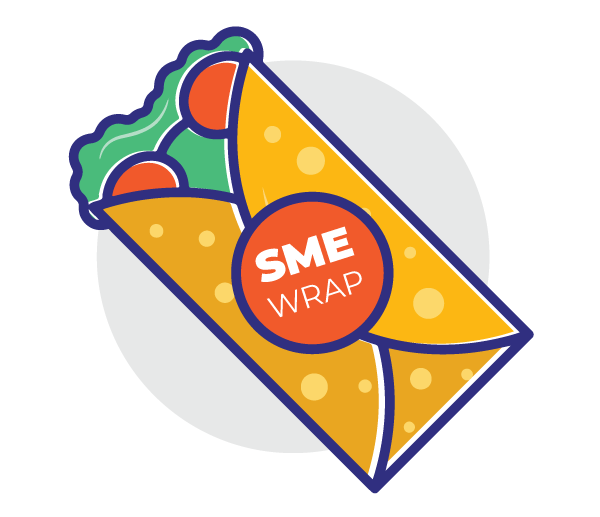 It’s tailor-made to support start ups and independent professionals. Not only is it pocket-friendly and easy to use, but it’s also a platform that cares. The kind of support that I have received right from the day we started working together is unparalleled. We approached several payment gateways earlier, and they consistently rejected supporting a small crowdfunding website like ours. Instamojo on the other hand, has given us proactive support. Their staff actually knows about CAD and what it stands for. Instamojo is the best thing to have ever happened to Control ALT Delete. Instamojo: What’s in the pipeline for CAD? Himanshu: We have a lot of interesting ideas that we will explore one by one. The challenge that we have always faced is the amount of time we can dedicate to it as individuals. That said, we definitely want to take the property to new cities and sustain it. We want to explore more genres in different markets. The most important change that will come about in the future is that CAD will start being a lot more than just a gig. Several plans are in the pipeline that I am not at the liberty of disclosing just as yet, but keep an eye out for these! CAD’s eighth edition will be held on 13th June ’15 in Smaaash, Mumbai. To contribute, click here.